Every guy wants his own man cave, right? But an amazing bathroom is rarely part of that equation. Instead, too many men see a bathroom for its functionality when it could be about luxury, too. Why can't you have both? * A fresh coat of paint. Switch out that drab white or brown with a soothing blue or another color that catches your attention. And don’t be afraid to hang some art or photographs on the wall. Having something to look at besides the mirror will make you want to spend more time in the bathroom. * Finally, a throne. Comfort and luxury should be staples in every facet of your bathroom, including your toilet. Luckily, the right upgrades can turn any toilet into a throne, especially with TOTO’s WASHLET S550e with EWATER+. This highly advanced personal cleansing system leads to a new level of luxury and hygiene. 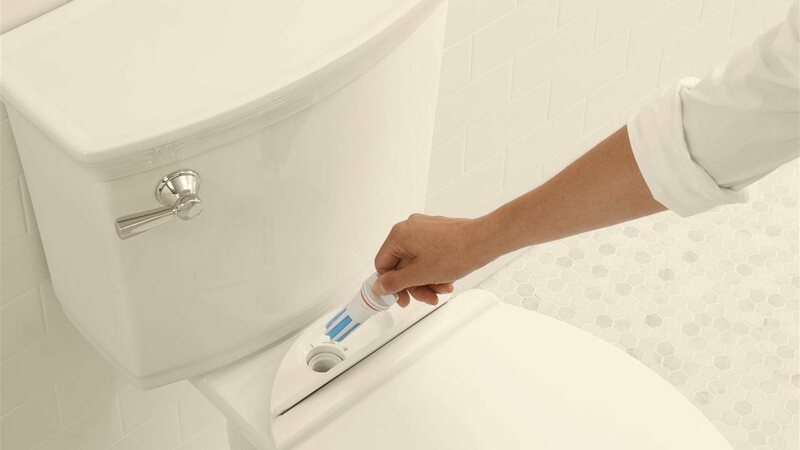 A unique, self-cleaning wand offers comfortable warm water to cleanse. You can adjust the temperature and pressure as you see fit for total control. Once the washing cycle is complete, gentle warm air follows to dry. 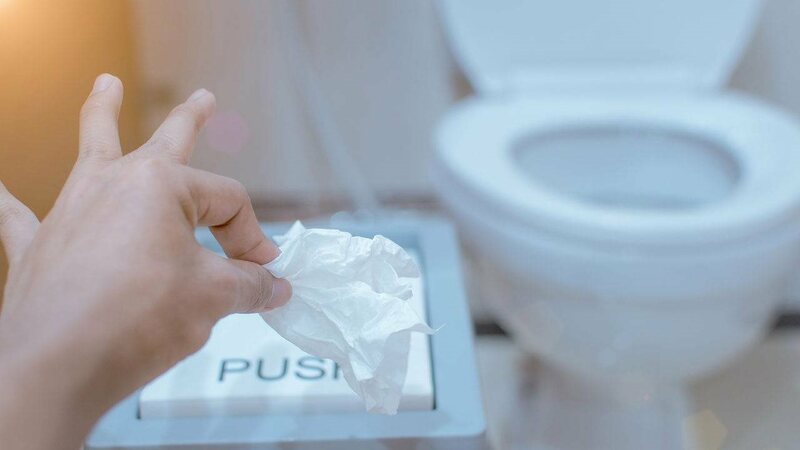 No need for toilet paper, which saves money and benefits the planet. 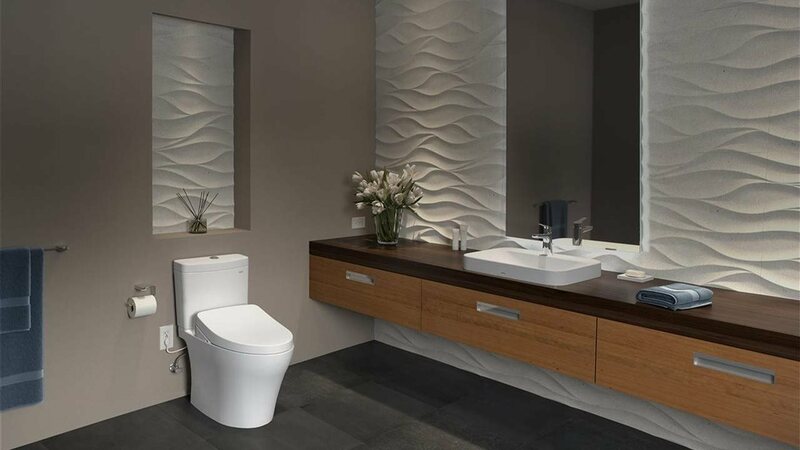 In addition, TOTO’s WASHLET features high-tech innovations such as an auto-open/close seat and lid, electrolyzed water to keep your toilet bowl fresh and clean, an ergonomically-contoured heated seat for maximum comfort and in-bowl catalytic deodorizer, taking your luxury bathroom experience to the next level. * Warm up the floors. Your toilet seat needn’t be the only thing in your bathroom that’s heated. In fact, installing heated floors in your bathroom can provide a much-appreciated dose of comfort once cooler temperatures kick in. Many homeowners have shied away from this project in the past because of cost concerns, but additional options on the market have increased affordability. 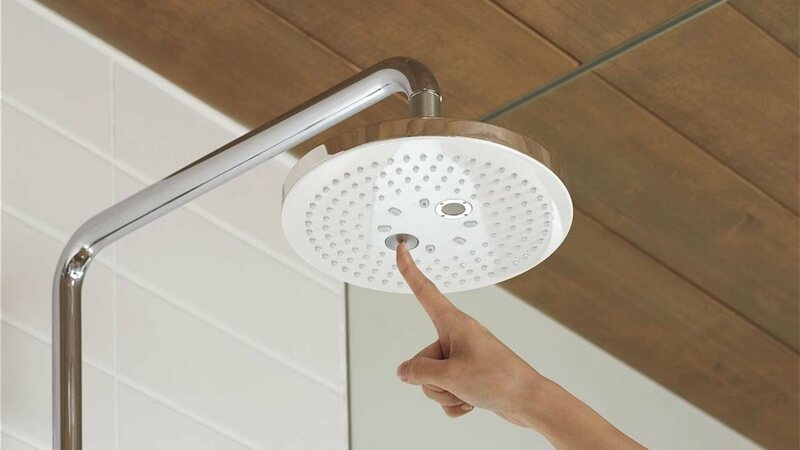 * Reinvent the shower experience. Guys generally prefer showers to taking a bath, but preferring the former doesn’t mean you have to give up the comfort of the latter. TOTO’s versatile G Series Rain Shower will transform your shower into a luxury experience and — most importantly — get you clean and feeling refreshed. The G Series Rain Shower offers touch button multimode water technologies, allowing you to choose the kind of shower you desire. From the restorative Comfort Wave to the fully enveloping Warm Spa, you control the spray mode for a completely customizable shower experience. It's the perfect choice whether you’re just beginning or ending your day. * A fan of the fan. If you’ve ever dealt with moisture issues in your bathroom, taking on this cleaning project even once should be all the motivation you need to install the proper bathroom fan. 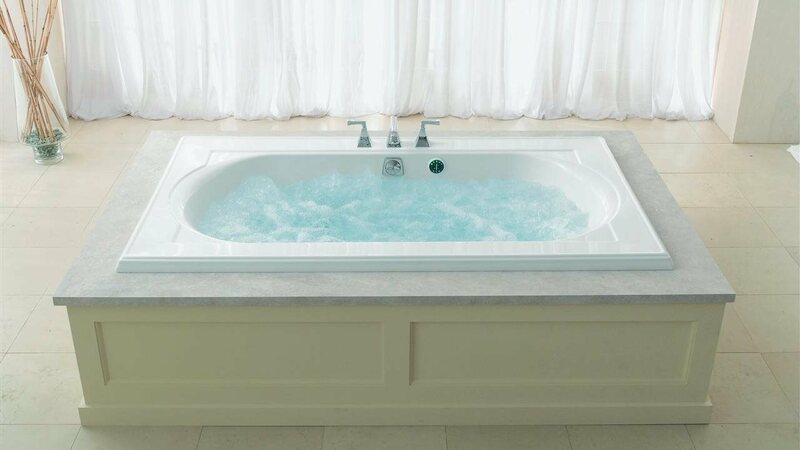 The market is flooded with options and finding the right one for your bathroom can take a little bit of research. Understand how often you'll need to run your fan and how large your bathroom is and you’ll be on your way to a drier bathroom with more relaxing moments and fewer cleaning necessities in the future. Your man cave deserves a great bathroom, and this vital room in your house doesn't need to be a functional afterthought. Complete the scene and build the bathroom of your dreams easily with the tips above. It's a surefire way to complete your cave in no time.